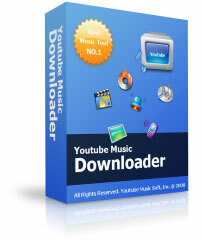 Dickson Woo sent an email to me that remind me Youtube Music Downloader gives away this software, original price is $29.95 US dollars. I really do not know about this software, I just think we have a lots of software can download video from Youtube, most of them can convert music video to MP3 music. I hope this software special design for music. Anyway, if you like to try Youtube Music Downloader, just write down this license code: YMD85051051WD, and download it directly. Everything is free.